Imagine you or a loved one being rushed to the emergency room because of a heart attack. The last thing you would want to hear is that the closest local hospital doesn’t have the facilities you need. Thankfully, if you live in New Castle, PA, that’s not the case. Allen & Shariff helped complete an 8,000 sq. 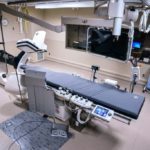 ft. renovation for the University of Pittsburg Medical Center (UPMC) Jameson to expand the cardiac catheterization lab, add a second lab, and bring the facilities up to date. Cardiac catheterization involves inserting a catheter into a chamber or vessel of the heart, either for diagnostic purposes or intervention during a medical emergency like a heart attack. 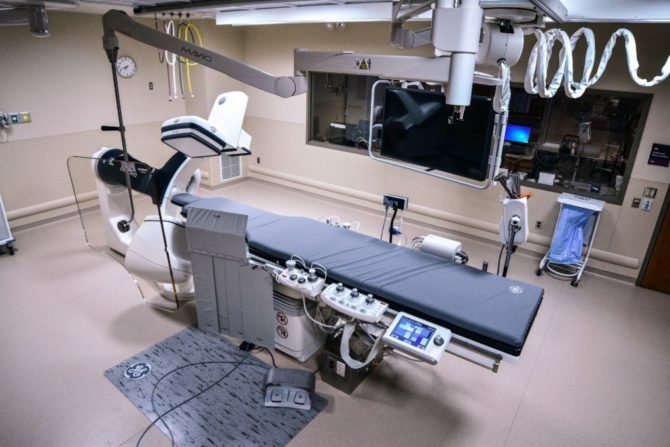 While the hospital previously had a smaller cath lab, which remains in use, the expanded facility features state-of-the-art technology that enables better care for more people. Patient volume has increased over the years, and the renovation accommodates that growth. Allen & Shariff’s Pittsburgh North office, which specializes in healthcare, provided engineering design for the HVAC, plumbing, medical gases, fire protection, power, lighting, nurse call, and fire alarm systems. The project presented its share of challenges. The area where the work took place did not have hospital grade air available to serve the project, so Allen & Shariff installed a new air handling unit. 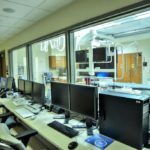 The unit was not only sized to handle the project area but also included capacity to serve the existing cath lab and adjacent spaces. 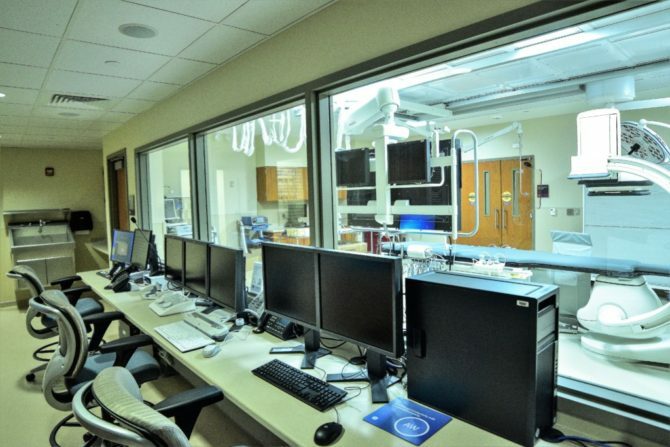 Another challenge was coordinating all the mechanical systems to fit above the cath lab’s high ceilings. The new technology features enable the most advanced care, including telemedicine capabilities that extend the reach of care even further into the surrounding counties. Local physicians and practitioners can communicate with colleagues at the highest level from nearby cities on patients with complicated conditions. This gives patients the peace of mind that they are receiving the best care without the added stress of working out locational logistics. The greatest way the cath lab renovation and expansion impacts the community is the ability to provide timely care to everyone that needs it, especially to those patients coming in through the emergency room with critical cardiac issues. For these patients, the goal is to open the artery by stent or balloon within 90 minutes. Dr. Beth Piccione, cardiologist and Jameson’s vice president of medical affairs, spoke to the importance of that ability in an article for New Castle News.